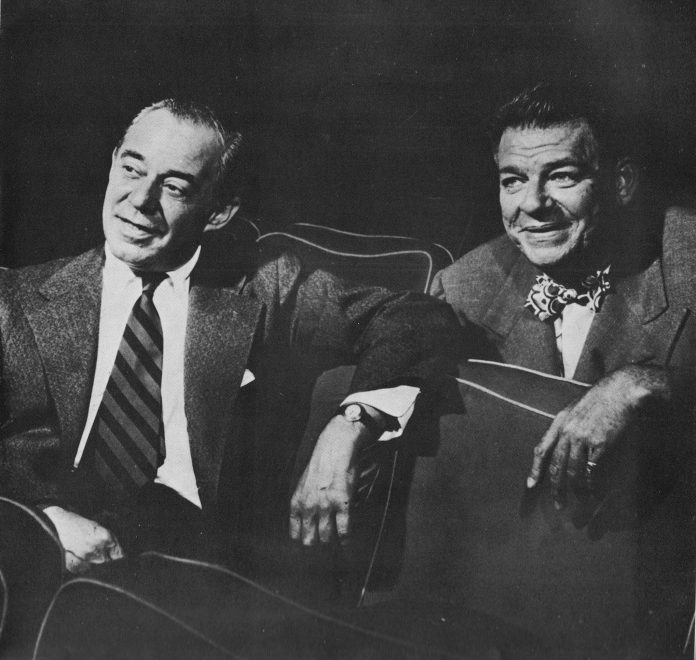 The careers of Rodgers and Hammerstein encompassed 11 musicals, 34 Tony Awards, 15 Academy Awards, two Grammys, and one Pulitzer Prize. What the duo also did was leave a lasting legacy in the musical theatre community, spawning a lineage of artists who continue creating work in the same spirit. From Oklahoma! to The Sound of Music, Patrick Street Productions’ new revue show, Rodgers and Hammerstein: Out of a Dream, will take audiences on a nostalgic journey through songs from their entire oeuvre. Peter Jorgensen, artistic producer of Patrick Street Productions, had been working on a similar show involving Rodgers’ and Hammerstein’s work when he gained a new appreciation for the duo. “I wanted to do something that honoured their work and them as contributors to musical theatre,” he said. The decision to produce this show also coincides with their other events this season: Floyd Collins and An Evening with Adam Guettel. Guettel, who wrote the music and lyrics for Collins, is Rodgers’ grandson and an accomplished composer and lyricist of musical theatre in his own right. Guettel won two Tony Awards for The Light in the Piazza and has created many other successful works. His mother, Mary Rodgers — Rodgers’ daughter — is also a composer as well as an author of children’s books. “It’s an amazing lineage,” said Jorgensen, “they were really mavericks and took a lot of risks — took the form into uncharted territory. Adam Guettel is continuing in the same spirit,” a spirit that is demonstrated in Out of a Dream’s timeless songs. When working on this show, a structure began to emerge for Jorgensen as well. “I listened to every cast recording of their work,” he said. Once he had chosen which songs he wanted to include, he placed them into a rough order based on the trajectory of a love story. There is a section about evolving relationships, then passion, complications, and separation. Rodgers and Hammerstein: Out of a Dream will be presented from February 5–16 at the York Theatre. For more information, visit patrickstreetproductions.com.